Tax Justice Network: OECD and G20: How Long Will it Take on Tax? OECD and G20: How Long Will it Take on Tax? Update: the G20 statement is now available. 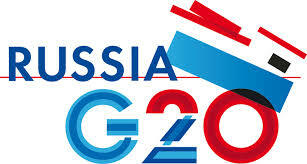 The OECD has reported to today’s G20 Leaders meeting in St Petersburg on its tax work. This now falls into three areas, covering two issues. First, transparency and exchange of information on tax. We should remember that this resulted from a much earlier initiative by the then G7, when Russia was still waiting in the wings and the developing countries such as the BRICS were not even candidates to be considered leading states. The concerns at that time about tax havens and the offshore secrecy system led the G7 to ask for an OECD initiative, and the result was its report in 1998 on Harmful Tax Competition. This project was of course effectively derailed by a change in US policy, when the new Bush administration accepted arguments that the initiative as first formulated entailed dictating tax policy to other states. The project then refocused on obtaining information from tax havens, laboriously pursued by the OECD for nearly a decade by negotiation of bilateral tax information exchange agreements (TIEAs). Only now, after the fiscal crisis of 2007-8, has this effort for fiscal transparency produced the commitment at this year’s G8 summit meeting in Lough Erne to establish a new global standard of automatic exchange of tax information, as well as transparency of beneficial ownership. Yet this is what organisations like TJN called for from the start. Until recently, we were laughed at: now it is mainstream. So the OECD now has two transparency projects. The first, based on bilateral agreements for exchange of information on request, is coordinated through the so-called Global Forum on Transparency and Exchange of Information for Tax Purposes, which conducts `peer reviews’ on each country. Second, the new standard which has finally been proclaimed is for multilateral automatic exchange of information. The OECD now aims to develop a model for this to be ready next year. The key is of course establishing suitable technical systems to ensure effective use can be made of such large quantities of data that will emerge from automatic information exchange. The OECD has in fact been working on this for some 30 years, largely in secret, so it will be interesting to see what they come up with. The third area is of course "Base Erosion and Profit Shifting" (BEPS), a project looking at corporate tax avoidance which the OECD launched quietly in July 2012, and was then given a political impetus by the G8 and the G20. After a year’s work, it published an Action Plan on July 19th 2013. This envisages a 30-month work programme on 15 Action Points, aimed essentially at trying to repair the international tax system. We gave our immediate response to the Plan at the time, regretting that the OECD had chosen to try to repair a fundamentally flawed system that cannot be effectively fixed, and rejecting the new 21st Century approach that we think is needed. In our view, the OECD has allowed the G20 leaders to kick the can down the road, proposing a plan which will face enormous obstacles, and may prove largely ineffective. We will continue to keep a close watch, and will have much more to say as the work proceeds. What can be learned from comparing the two initiatives? Only after 15 years’ pressure from civil society has the OECD now accepted the global standard of multilateral automatic exchange of information. We hope that it will not take quite so long for it to accept that the only effective way to take transnational corporations is to treat them as unitary firms, based on Combined and Country-by-Country reporting and profit apportionment based on their real presence in each country. See also this policy briefing, co-signed by the Tax Justice Network and 33 other organisations, focusing on the BEPS initiative.